I have come across the list of duly accredited SOLAS training centers by MARINA (Maritime Industry Authority) and I wanted to share it to all interested Pinoys who wanted to become a seaman and get one of the highest paying POEA jobs in the Philippines today. Now for those of you who already have some of the necessary requirements to become a seaman but haven't taken a seminar course on safety of life at sea, BST or basic safety training yet, this list of accredited maritime schools will come in handy. You may enroll for the training in any of these licensed centers or make an inquiry either directly by coming over to their office or calling their respective hotline telephone numbers which we have included and provided for easy calling to inquire. Just for the benefit of those who did not know it, SOLAS is also known in the maritime industry as safety of life at sea. Other would like to call it basic safety training or BST but today, MARINA has already changed that. It is now by shipping companies as well as other foreign registered vessels and ships as BT or basic training. First step to see if your chosen maritime training center is duly authorized to conduct related seminars and trainings regarding SOLAS or safety of life at sea is to check with MARINA Manpower Development Office or any of its maritime regional offices (MRO's) near you. Second, you have to check with the CHED (Commission on Higher Education) for accreditation and equipment standards to conduct and offer marine-related courses. Third, you have to check with TESDA (Technical Education and Skills Development Authority to see if their teaching standards pass what is required by the worldwide ISO and shipping industry standards. 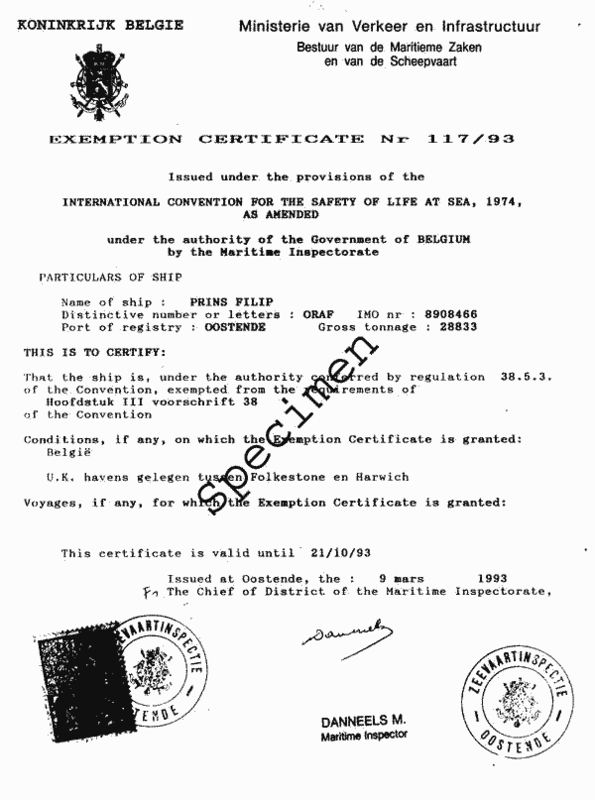 Below is an exact replica or sample of the document certificate that SOLAS training centers and accredited maritime schools render or issue upon completion of the seminar course which includes both theory and practical or actual simulation of how to administer safety while onboard a vessel, should any hazzard, danger or scenario arise while on or not in service or duty. This document is a requirement in the Philippines for Filipinos who want to become a full pledged seaman. On the other hand, for those who are already full time serving seafarers, you might want to go check our information if you are looking to apply for additional quick funds via credit in our seaman loan offer in the Philippines. You may read the requirements here but this document is absolutely not part of that list. 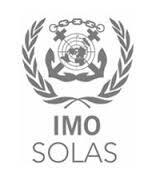 Official seal and logo of IMO SOLAS. Full photo credits to IMO. Below is the current and latest list of duly accredited SOLAS training centers in the Philippines to conduct basic training (SOLAS) or safety of life at sea. ALLSTAR MARITIME TRAINING CENTER, INC.
AJ CENTER FOR EXCELLENCE, INC.
Rms. 201-212, BARKO Bldg. 1014 P. Ocampo Sr. cor. AND SEA STAFF TRAINING CENTER, INC.
EUROPEAN TRAINING AND COMPETENCE CENTRE, INC.
NAUTICAL OPTIONS TRAINING INSTITUTE OF THE PHILIPPINES, INC.
NAUTILUS PACIFIC MARITIME TRAINING CENTER, INC.
NE PLUS ULTRA TRAINING CENTER CORP.
NORTHSTAR TRAINING AND CONSULTANCY, INC.
5/F Masagana Bldg. Taft cor. Kalaw St.
Rm. 308, BPI Roman Santos Bldg. PROPELLERS FOUNDATION – MARITIME SCIENCE AND TECHNOLOGY RESOURCES, INC.
SEABASE TRAINING CENTER FOR WATCHKEEPING, INC.
SEA QUEST MARITIME TRAINING, INC.
Rm. 214 BF Condominium Building, Andres Soriano Ave.
SOUTHFIELD MARITIME TRAINING FOUNDATION, INC.
TRAM INTEGRATED TRAINING SOLUTIONS, INC.
Mezzanine EMI Center, 665 Pres. Quirino Ave.
CAPT. BERNARDITO ARCAMO- President/Gen. Mngr. ZRC TRAINING CENTER PHILS. INC.
MOL TRAINING CENTER PHILIPPINES INC.
JOHN B. LACSON FOUNDATION, INC.
PHILASIA MARITIME SRVICES TRAINING CENTER, INC. Contrary to what is stated above that the document issued after you finish BST or basic safety training (SOLAS), this document is required before you can get your own valid seaman book. Me and my wife have had a niece study basic safety training to acquire SOLAS later and based from our online search and canvass, the tuition fee that you will have to pay to finish the course from any of the above-listed SOLAS training centers would usually range from Php 4,000 - Php 5,000. On the other hand, there are some SOLAS training centers out there who would offer a discount to early bird enrollees or if you were referred via a MARINA employee. Do make sure to get your coupon referral or ask one from the guard of the MARINA office. This tuition fee would include use of facilities, theoretical seminar and actual implementation and practice of safety using equipments actually present in any vessel. The time frame it takes to finish this course would range from 4 days to 8 days depending upon the number of students and enrollees for a batch in any of the accredited SOLAS training centers listed.